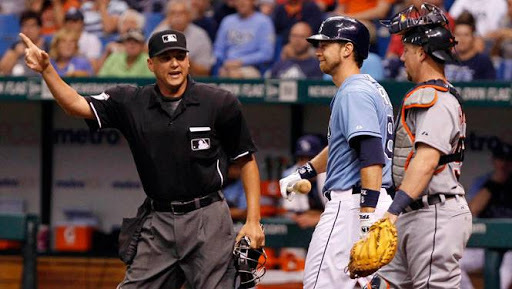 baseball | In the Key of "H"
On Saturday afternoon, the Tampa Bay Rays took on the Boston Red Sox in the American League Division play-offs. So far they have completely under-performed against a well rested-but certainly not rusted-baseball team in the Sox. And of course the Sox deserve all the credit in the world. 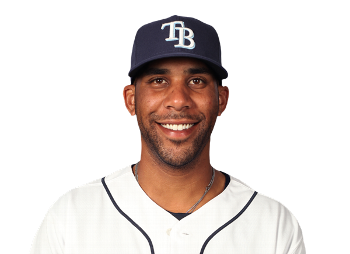 After the game, Rays pitcher David Price took to twitter to express his frustrations after the game. I happen to follow Price on twitter, but didn’t see all that he had posted. Part of his “beef” was with “Big Papi” David Ortiz, as he admired the 2nd of his two home runs as it curved over and around the pesky Pensky pole. I found it a bit busch-league of Ortiz to simply stand and watch. It’s the kind of thing that the Red Sox pitchers would hit a batter for doing (if it weren’t the play-offs). 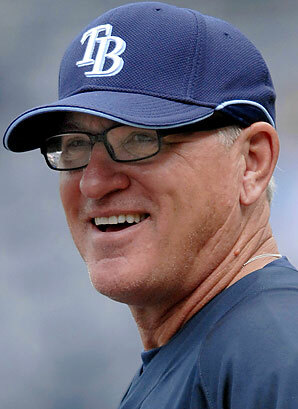 But the Rays don’t play baseball like that, preferring instead to take the high road and get “pay-back” by winning. The problem with this sense of delayed justice, if you don’t buy in, is that you find some way to find some semblance of satisfying your sense of justice: using words to inflict harm. Big stars words can hurt others, even other big stars. Whatever Price had to say, and how he framed his criticism of Ortiz’s home run ball admiration, he and Ortiz have since talked. Whether they actually “face-talked,” (you know, where two people actually converse using words and look at each other) or tweeted or texted, the two have since “cleared the air.” No word on whether Ortiz thought what he did was actually busch-league. As usual with such statements comes the concomitant twitter apology which Oberman declared a “non-apology apology.” Something like Ryan Braun’s steroid apology, which ranks up there with the top 10 of non-apology apologies. I don’t claim to be a twitter apologizer, nor a twitter apologist. But let me offer a critique of this twitter non-apology apology that might be helpful should you rant and need to recant. Or simply if you should need to apologize, since you probably will some time today or tomorrow. Likewise with myself. If you end an apology with “that wasn’t me,” then who are you exactly apologizing for, an alter-ego? David Price isn’t schizophrenic, but his apology sure seems so. It wasn’t him. 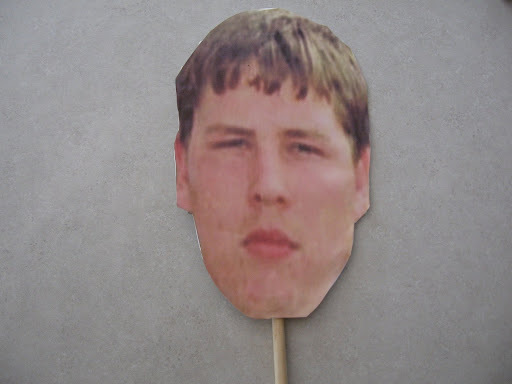 It was him after a frustrating loss. But that really is him. And that would be me too. It really is us, the us who are calm all day until something happens when we lose our temper. That is us. It’s not the situation, it is us. It is in us all the time (James 4:1-6). And again, I’m really not blasting Price. I like the guy. We’ve all apologized like that. That wasn’t me, that was “tired me,” “stressed me,” “frustrated me,” “medicated me,” “drunk me.” You get the point. When we apologize, let it be an apology, not a schizophrenic apology where we are actually apologizing for someone else not named us. If you believe the gospel, you can admit that yes, you are that bad. But Jesus forgave you that much, and even more so. In the odd chance that you, David Price are reading this, I want you to know that I’m still a big fan of yours. And I’ve made a zillion apologies like this. I want to stop, so hopefully, you’ll have played a part. The other day Alex Rodriguez aka A-Rod or A-Roid, faced Red Sox pitcher Ryan Dempster. After several clear inside pitches designed to hit A-Roid, one finally hit the mark. Immediately benches were warned, but Dempster stayed in the game. Afterwards, Red Sox manager belied ignorance of any seeming intent on behalf of his less than star pitcher. As an avid Rays fan, I’m partial to both the Sox and the Yankees, always hoping against hope that both can lose. But since baseball is not soccer, that’s just not really an option. Regardless of the fact that hit batter fueled a Yankees rally which proved the difference in their victory, the real discussion afterwards lay in the ethics of such a pitch, not in pragmatics (how un-American of us to push the pragmatic to the side). A-Roid is facing more than a 200 game suspension for his alleged involvement in steroids, which he admitted to using before. MLB has somewhat of smoking gun, so after his appeal is heard, A-Roid will be A-Bored for a season and a half. On top of that, A-Rod might be the most unlike-able baseball player on one of the more polarizing teams. Despite his individual and team success, he plays himself up to be the victim. Some of these players have been lying their whole lives, that they actually believe the lies they tell. Perhaps that, or an extreme narcissism, or both is at the root to why A-Roid won’t simply admit he did wrong? So pitchers have every “reason” to hate A-Rod. The rest of the 10+ players suspended by MLB have taken their suspensions, but not A-Rod. That’s why Dempster beaned him, even though it took him 4 pitches to do so. Should pitchers be able to hit the “cheater” (allegedly)? Or is A-Rod right, for according to the letter of the law, he has the right to appeal-which will allow him to play the rest of the season? In that case, he shouldn’t be “targeted” (again, allegedly because no one admits to hitting someone) by pitchers. Who’s side should one take? It’s probably important to look at something more than the arm that through the baseball. What’s really being said by that pitch? You cheat, we don’t, and we will punish you the best way we can for cheating. It’s the position of the legalist. The one who says I follow the law, you don’t, so I will punish you the best way I can. Perhaps shunning, running or gunning. Many folks fall into this category even though they would never admit to this. You judge, we don’t judge, so we will judge you for judging. We will do something about it, and not leave it to the legal process. You don’t have to be a Westboro Baptist member to fall into this line of work. You don’t have to vote Republican. Behind the pitch, there is an unrealized self-righteousness which produces anger. Whether it comes out in a subtle form as with labels, racism, or blatant insults and violence, the heart behind it is the same. Self-righteousness always pops its ugly head. Is it possible to take another route? Is it possible to believe that A-Rod shouldn’t be allowed to play yet not personally take matters into your own hands? Can you disagree with someone’s behavior, believe it a sin, and yet not judge them? Can you not make someone pay by shunning, gunning, or running, but instead leave it to another Judge? That is the position the Rays will take when A-Roid and his company play the Tampa Bay Rays in a week. MLB, led by Bud Selig is probably not much more than a joke. The man who promoted the Roided out long-ball era now wants to be known by cleaning it up? Yet there is another judge to whom we can leave things. Without a Judge, on whom you can never pull a fast one, we are forced to take matters into our own hands. Without such a Judge, we only have the options of retaliating or overlooking. We only have the options of becoming an angry self-righteous legalist or driven by indifference at what we know to be wrong. A legalist or one with license to do whatever fulfills us at the moment. The irony behind removing God’s wrath or judgment from our picture of Him is that we become more wrathful and judgmental. Or we become a completely self absorbed relativist caring about self before family and community. Neither seem all that good to me. All drafts, whether military or athletic, are about “what you bring to the team.” Now a military draft, as far as I understand, is somewhat arbitrary-but you are still expecting to find quality soldiers to help your cause. Of course the same thing occurs with the NFL, NBA, NHL, and MLB drafts. You pick a player not because of what you can do for them but because of what they can do for you. That’s fairly obvious. Of course the other day, the Arizona Diamondbacks decided to draft someone would you never bring the tangibles of good hitting, pitching, or fielding to their ball club. He’s paralyzed. Check out the story here. Now this was the 34th round. This was not a high pick. How many 34th rounders really make a huge impact in the majors? I’m sure some do, but I’m not about to research it. Yet still, to see a team pick someone not because of what the player could do for them, but because of what they could do for the player is pretty unique. There was a cost, albeit arguably a marginal price. You may remember the Bucs signed free agent Eric Legrand, a paralyzed player out of Rutgers, but they didn’t have to spend a coveted draft pick on him. While this was a unique display of love from the Arizona Diamondbacks, it is not one completely without precedent. All good stories, or at least ones which really connect with people, have some sort of connection to the overall story of the gospel. You might be able to say the same applies to such memorable draft picks. God “drafts” not according to ability but because of our disability. The reason this story is so touching is because it simply borrows from the story of the gospel: God saving people not because they have something to offer Him but giving Himself to those who have nothing offer. What is love, you, or Haddaway might ask? That is. Every now and then you just come across a cool story in sports. 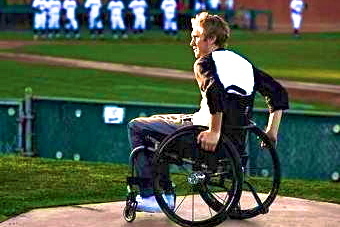 In 2005, Adam Greenberg stepped up to the plate for the first time, and took the first pitch. Right to the back of the head. The first pitch was his last pitch, as he never earned his way back to the big leagues. Until last night. Check out the story here. Seriously, do yourself a favor and check this one out. It would have been magical for him to have hit a home run off 20 game winner R.A. Dickey. But instead he struck out on three straight 80 mph knuckleballs. Like most of the Tampa Bay Rays he faced this summer. But the ovation from the fans left him feeling as part of the ball club. 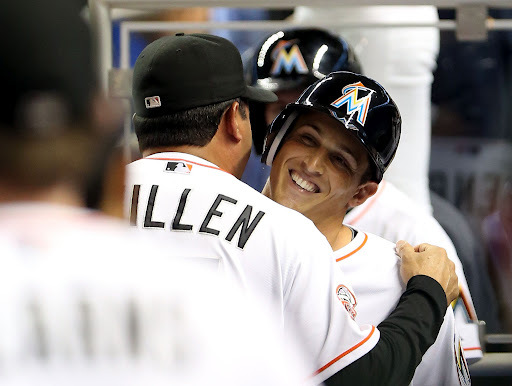 So did the Marlins, from manager to the stars, from top to bottom. Several Marlins players invited him to come watch football during the week. He was part of the club. At least for a day. The Jim Rome interview today shed a little more light on the story. Some big-wig and his wife were watching Field of Dreams (first time for the wife). “Moonlight Graham has nothing on Adam Greenberg,” said the husband. And thus the dream to get Adam Greenberg back up for one more plate appearance was born. Last night was the fruition of lots of hard work. But it was hard work on someone else’s part. Greenberg admitted that he didn’t do anything to promote or get back onto the field. All he did was say, “Yes, I’d love to get at least one more at bat.” He received it. The warm reception surprises me a bit. In a good way. A bunch of people who worked hard to get there, received this newbie like he was one of their own. They showed him grace and welcomed him as part of their community. When it comes to the church community, we don’t have to put ourselves in someone else’s shoes so much. We don’t have to pretend. The church comprises a bunch of “Greenbergs,” who have benefited from someone else working hard behind the scenes on its behalf. As long as we remember we’re really a bunch of Greenberg’s, we’ll act like Marlins. While I would have loved a home-run for Greenberg, he is thankful for the gracious opportunity to strike out. An obviously Jewish name (he also played for Israel’s national team), maybe this won’t be his last taste of grace? Maybe the veil will be lifted some day (II Cor 3:14-16)?